The following is an open response/letter to the “AAA” (American Automobile Association) regarding your editorial Hit Piece against the re-legalization of Medical Marihuana. It is going to be printed up (also posted on the internet) as part of a larger report to the Oklahoma State legislature on the economic impact on our state revenues of re-legalization. If you feel that something (anything) is in error, please let me know. Also in the INTEREST OF FREE SPEECH, if you wish you may submit a response letter of your own giving your side of the issue. Rest assured that it will not be edited, nor will some slanted reply to your reply added on somehow. It will simply be posted as your reply with no comment on our part. But please keep it to no more than two regular printed pages. -- Our motto, we’re pro-medical Cannabis and we vote. DOES MARIJUANA AFFECT ONES ABILITY TO SAFELY DRIVE AN AUTOMOBILE? Contrary to what most people think, Marihuana of and by itself, when used under normal medical dosages, DOES NOT seem to affect ones abilities to safely drive an automobile. Proof of that lies in the following question, asked of anyone who states/implies that it does. “DO YOU HAVE ANY SCIENTIFIC EVIDENCE THAT SHOWS THAT IT DOES?" And here it is made clear that we are asking for some kind of actual scientific studies that will stand up to the light of day. The response is universal. The average person usually replies with a; “No, but I’m sure that such evidence exists.” However, when the question is posed to a Narcotics Official (someone who knows better), their reply is also universal. They turn around and walk away, knowing full well that no such animal exists. And it doesn’t. Simply put, after years and years of studies, after spending, who knows how much trying to establish a solid link; -- nothing. They can point to NO SCIENCE (none that will stand up to the light of day anyway), that shows that it does. In fact, as embarrassing as this might be for them, some of the science seems to point in the opposite direction. But be that as it may, for good or for bad, the prohibitionists, many of them with the badge of authority (example: those within the AAA), claim otherwise. And people accept their word as gospel truths, without even bothering to do any fact checking. -- The case below is one such case. According to those running Oklahoma’s “Triple-A” it does; --- but where is their proof? The following consists of bits and pieces of correspondence with the “AAA”, but with nothing being taken out of context. Still, it is shocking that to see that such things are still (if in a somewhat more tranquilized form) still coming out of the “Triple-A”. Please if there is anything that you can do to (I guess) shame them into allowing the truth to be heard, I would greatly appreciate your assistance on the matter. PS- I have no doubt that our local chapter will probably tell you that they do not wish to engage in politics, but if so, then why did they become engaged in the first place. The Jan/Feb 2017 issue of Oklahoma’s official AAA Magazine “Home & Away” carried a very unfavorable Editorial article dealing with the subject of Marihuana and Driving Safety. One implying that re-legalizing Medical Marihuana would in some way lead to traffic safety issues. A subject that (given the push to allow medical patients access to Marihuana) is obviously quite controversial, and one that due to time restraints, I will not be able to fully address at this time. However, the gist of the issue is quite simple; ----“Does Marihuana (under normal medical dosages) impair your ability to safely drive an automobile? That answer is NO. And if one needs any proof, just ask a prohibitionist to provide you with any scientific studies (one’s that can stand up to the light of day) that says otherwise. And as if to add insult to injury, the study provides no evidence that the incredibly microscopically levels they were testing for within the blood, in any way-shape-or-form, actually affected ones ability to safely drive an automobile. In all probability the figures were chosen for political not practical reasons. IN OTHER WORDS, the study being quoted was nothing more than JUNK SCIENCE. So much so that even the “National AAA” has long ago distanced itself from it. The editorial article (part of which consisted of a letter) goes on to tell about a woman allegedly killed by a 19-yr-old Marihuana addict. The problem with that argument is simple; -- If Marihuana was indeed the cause of the accident and as (according to the latest pew poll) 10% of individuals within that age group regularly use Marihuana. Then why don’t we hear about a whole-lot more such incidents? -- The answer is obvious, thus, NO, I do not believe we can blame Marihuana for a lousy driver; who probably would have been a lousy driver no matter what. Look, without doubt, this is a controversial issue, but let’s face it. There are some out there who have political as opposed to practical reasons for maintaining the prohibition. I myself make no bones about having an agenda, one that came into being when a friend of mind, Joyce who I still remember as a kind and loving person, died of Cancer. Now as a Christian, I believe it is my duty to alleviate human suffering wherever possible. And after seeing what Marihuana did for Joyce in her last days, it didn’t take a genius to say that there is something wrong with both our drug as well as our medical laws. Andrew Garret is with a pro-Medical Cannabis group. “Funny? Crashes caused by drivers who are under the influence of cannabis are anything but funny. Ask the victims. Please understand AAA's position: we do not condone driving impaired. Yes, it is that simple. You insist on bringing in tangential arguments but let's be very clear here: We do not believe driving under the influence of cannabis is safe. That's our only horse in this race: traffic safety. Again, please do not write to me again. I shall delete any further communications. Our own replies kept addressing this “Polly-Want’s-A-Cracker” mantra, factor, asking for proof. NOW [name withheld], Do Cannabis Drivers get into accidents. . . ? Probably yes, just like people who drink water get into accidents? Just like people who drink milk get into accidents, but somehow I don't think we should blame the problem on water or milk. – So what gives? “. . what you’ve done is unspeakable and anything but funny. 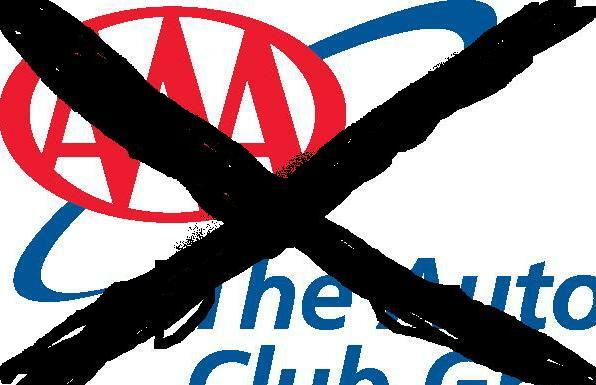 You’ve used the good name of the AAA, a highly respected organization to assist in your political agenda. And you used (how shall I politely put it), untruthful statements to do so. Don’t you understand that people believe what a “Respected Organization” like the triple-A says on face value. [name withheld], once more, please publish my counter article – It’s the same length as your original one, and balances things out with the truth. Norman, Ok. PS – thanks for putting up with my bad spell, grammar if any, had to respond in a hurry. But try as we might, it appears that no proof of their statements was were ever forthcoming. * Note that there are various other studies conducted by governmental groups such as our Federal Department of Transportation (D.O.T. ), which essentially say the same thing. Marihuana, while it does impair ones motor skills, simply does not do so enough to impair ones ability to SAFELY DRIVE.